The Pellematic pellet boiler system uses technology that has been tried and tested over years, impressing with both total reliability and highest quality workmanship. 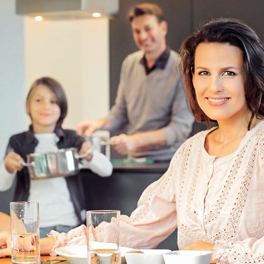 For heating and hot water, the high performance of a gas boiler without the high CO2 emissions and already trusted by over 70,000 customers worldwide, consider the Pellematic. 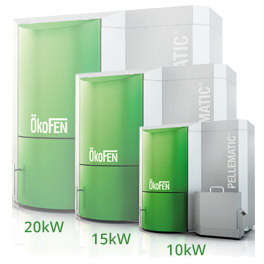 The 'original' ÖkoFEN wood pellet boiler has a power range of 10-32kW. If you reconfigure or extend your premises it can be easily upgraded. 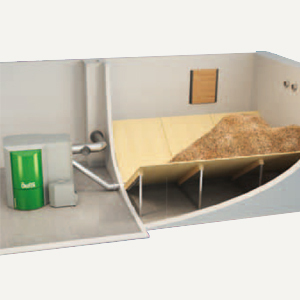 The most powerful wood pellet boilers in our range, from 36kW up to 64kW, they can also be cascaded up to 256kW. These space-saving 10-32kW boilers are designed as an entry level option and can be converted to include an automatic feed system with the addition of a FleXILO storage tank and adaptor kit, if required. The 30kW Pellematic Air is ideal for the circulation of warm air in warehouses, greenhouses or marquees using its intelligent Pelletronic heating control with four variable speed fans. The Pellematic boiler can grow with your circumstances. 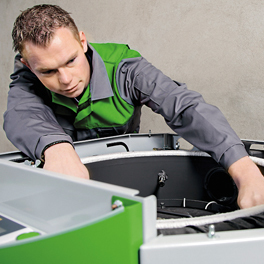 If you extend or reconfigure your home/business, or enhance your insulation, the boiler can be adjusted to your new requirements in just a few simple steps, ensuring the power you achieve is precisely the power you need. 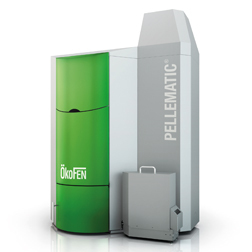 The Pellematic boiler pioneered by ÖkoFEN set the standard for highly efficient combustion from wood pellets. That pioneer status extends to ÖkoFEN’s commitment to environmental protection. Emissions from Pellematic boilers are significantly below legal limits and built-in technology ensures they remain that way. Pellematic wood pellet boilers are built to last and offer the ultimate in reliability and safety. That’s why ÖkoFEN use only the highest quality materials together with the most accurate and advanced boiler control systems. 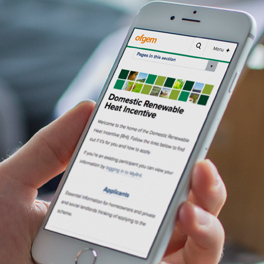 The Domestic Renewable Heat Incentive (RHI) is a government incentive to promote the use of renewable heat. When you join you’ll receive quarterly payments for seven years on the deemed heat demand for your property. Since opening in April 2014, thousands of people have successfully joined the scheme and are now receiving payments. With our Pellematic Touch heating controller you can conveniently access your heating system from a computer or smart device. 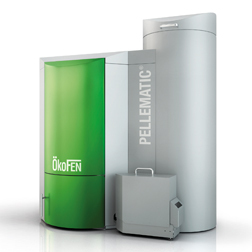 Why ÖkoFEN Pellematic Wood Pellet Boilers? 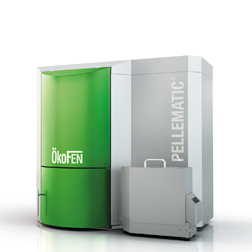 ÖkoFEN is regarded across the industry as the inventor of the modern wood pellet boiler and the reason that pellet fuel is such a success story. This pioneer status extends to ÖkoFEN’s commitment to environmental protection. 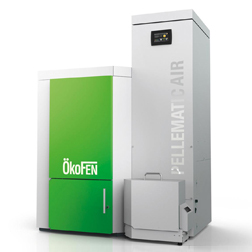 Emissions from ÖkoFEN’s wood pellet boilers are way below legal limits and built-in sensor technology ensures they remain that way. ÖkoFEN products are built to last and offer the ultimate in reliability. That’s why we use only the highest quality materials and most accurate control systems for our boilers. 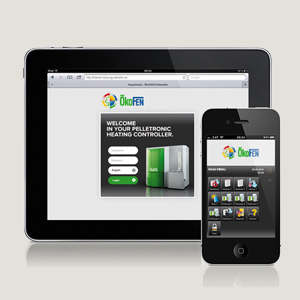 This ensures you can depend on your ÖkoFEN boiler for many years of reliable operation. Stokesley Manor, situated on the outskirts of Middlesbrough, was first mentioned in the Domesday Book and is today the site of a 17th century Grade II listed property. Stone built in Georgian style, the Manor was fully renovated in 2009 by the current owner, retired financier Mike Bandeira, and is now home to Mike, his wife and two children. 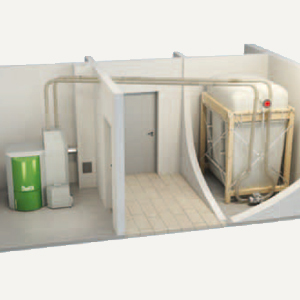 Why Organic Energy for Wood Pellet Boilers? We have a network of independent installers who have undertaken a rigorous training programme at our specialist training centre in mid-Wales.